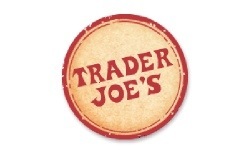 Tips and Tricks Tuesdays: What Are the Best Savings at Trader Joe’s? Ok followers I need your help! I would like to utilize my local Trader Joe’s store more often. I want to bring my family from eating cleanly from 50/50 percent of the time to 80/20 percent of the time. What does that mean? I want to eat a mostly clean lifestyle, but I like to indulge in things like cake or chicken wings. Life is short, and I don’t want to live without ice cream, starch filled pasta, deep dish pizza, or homemade gruyere mac and cheese. I like to use my splurges on one day or a couple meals throughout the week. It all depends on how I’m feeling. All things in moderation right?! So what are the best buys (money or favorites) at Trader Joe’s? Please let me know if it’s a good saving or just your favorite product they sell. In the past this what my friends have recommended me to buy.